Comment: Tan to the page edges. UK Expedited shipping available on this item for 4.99. Fast shipping. Excellent Customer Feedback. The follow-up to global bestseller What Got You Here Won't Get You There (the Amazon.com no.1 bestseller for 2007 on Leading People) addresses the vital phases of gaining mojo (tough), maintaining it (tougher) and recapturing it after you lose it (toughest of all, but not impossible) This is vital in any competitive arena, whether business, sport or politics. Goldsmith draws on new research, as well as his extensive experience with corporate teams and top executives, to provide compelling case studies throughout. Readers will learn the 26 powers that are within us all and will come away with a new, hyper-effective technique to define, track and ensure future success for themselves and their organisations. Goldsmith's one-on-one training usually comes with a six-figure price tag. Now his advice is available without the hefty fee. Start reading Mojo on your Kindle in under a minute. Mojo is the concept of positive momentum: success building upon success. It anchors our self-esteem, shapes our careers and influences those around us. 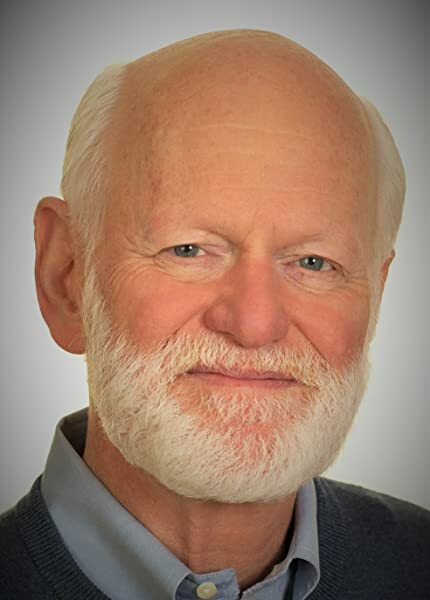 Now the world's pre-eminent executive coach, Marshall Goldsmith, can help you master it. Professor Goldmiths books and is work have been the key to unlock my potential, reprogram my mind and personality to be more in line with who I am and want to become. His daily questioning has been the single most positive influence on making significant and lasting changes to me as a person, and I've been working on that for decades with many different therapies, systems and courses. And don't get me wrong, I was already good and happy, but this has taken me to another level. 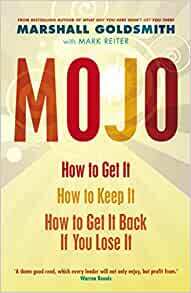 Mojo is much more for someone who is in the corporate world and a must read if you are. I'm not, but still got so much from it. I really enjoyed the sense in this book - I have admired the work of Marshall for a while and this is a great 'poke in the ribs' to help you maxmise your performance. Lots of markers sticking out of the book which is always a good sign. I bought this for my girlfriend. She seems much happier these days and so I guess it's a good buy. I like Marshall Goldsmiths approach generally and this is no exception. Well written and helped me through a redundancy straight in to another job. Great book, easy to read. Would recommend to anyone who feels that they have lost their sparkle. I really enjoy Marshall's work - this hits the same highs as "What Got You Here Won't Get You There". He puts perspective on some of the biggest challenges leaders face, and does so with a level of gravitas that few achieve.